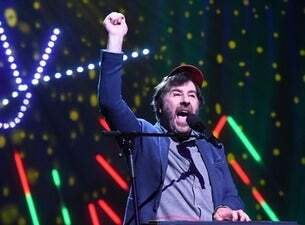 The hairy Enya is delighted to return to Australia with a brand-new show made up of talking and songs played on the plastic keyboard he got for his Confirmation. Once again, he will try to fix everything. SPOILER ALERT: once again he will fail. Always a Festival highlight, David brings the goods time and time again with his unrivalled silly charm. A perpetual award winner and touring stalwart, this Irish legend is good times guaranteed and should not be missed.